The Counterlife is about people enacting their dreams of renewal and escape, some of them going so far as to risk their lives to alter seemingly irreversible destinies. Wherever they may find themselves, the characters of The Counterlife are tempted unceasingly by the prospect of an alternative existence that can reverse their fate. Illuminating these lives in transition and guiding us through the book's evocative landscapes, familiar and foreign, is the mind of the novelist Nathan Zuckerman. The Counterlife- how deep can you get? At the center of Nemesis is a vigorous, dutiful 23-year-old playground director, Bucky Cantor, a javelin thrower and weightlifter, who is devoted to his charges and disappointed with himself because his weak eyes have excluded him from serving in the war alongside his contemporaries. 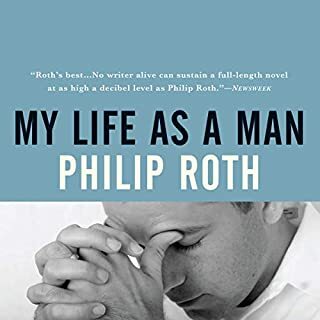 Focusing on Cantors dilemmas as polio begins to ravage his playground and on the everyday realities he faces, Roth leads us through every inch of emotion such a pestilence can breed. Tight, beautiful and also strange and sad. The Facts is the unconventional autobiography of a writer who has reshaped our idea of fiction - a work of compelling candor and inventiveness, instructive particularly in its revelation of the interplay between life and art. In this mesmerizing, funny, chilling novel, the setting is a small town in the 1940s Midwest, the subject the heart of a wounded and ferociously moralistic young woman, one of those implacable American moralists whose "goodness is a terrible disease. When she was still a child, Lucy Nelson had her alcoholic failure of a father thrown in jail. Ever since then she has been trying to reform the men around her, even if that ultimately means destroying herself in the process. In an astonishing feat of empathy and narrative invention, our most ambitious novelist imagines an alternate version of American history. In 1940 Charles A. Lindbergh, heroic aviator and rabid isolationist, is elected president. Shortly thereafter, he negotiates a cordial "understanding" with Adolf Hitler while the new government embarks on a program of folksy anti-Semitism. For one boy growing up in Newark, Lindbergh's election is the first in a series of ruptures that threaten to destroy his small, safe corner of America - and with it his mother, his father, and his older brother. 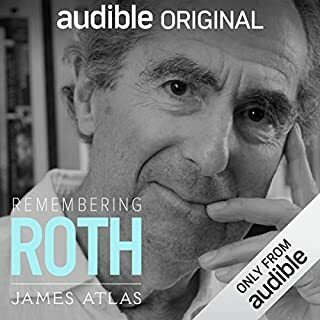 ©2004 Philip Roth (P)2016 Blackstone Audio, Inc. This is a masterpiece, ranging from grand history to the intimacies of family life, from the most dire circumstance to the outrageously funny, as in the best Shakespearean history plays. The author really made me care for the characters in this book. I'm not a history buff, but this book really made me appreciate what Jews may have been thinking during the real historu of WW2. Roth evokes the atmosphere of fear being used to manipulate Americans into hatred and loathing their neighbors. At times it was all I could do to continue listening, not because of any failure of the author's, but because it was all too plausible! The part where Roth's younger self it not telling the story tended to have less power to me. I understand he is trying to explain how fascism could happen in America, but that part of the seemed to be a little too precious and unbelievable. However, the tale as told from the child's eyes is frightening and very believable. I especially appreciated the situations showing how there are no Right options in stressful times, no matter you will be left with regrets beyond measure. What if FDR hadn't been re-elected? Philip Roth is one of my favorite authors. Interested in the human condition, the Jewish-American condition, and the male condition, his books each offer a unique exploration into a compelling topic with universal themes. 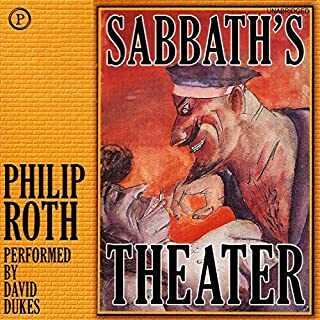 The genius about this book in particular is how Roth examines the issue of America "selling out" to Hitler from many plausible yet conflicting viewpoints. From the indignant father to the quietly prideful mother, to the damaged orphan nephew to the lonely aunt to the ever curious boy, anti-semitic events are presented, described, experienced and analyzed with clearly developed voices that reach out from the 1940's to touch our hearts today, in the age of Internet-based news and every changing political grounds. I found this book to be very rewarding, both from a literary and a plot standpoint. The story arc progresses steadily until the last 15% of the book, where the pace increases to frenetic, confrontation leaps out on every page, and conflicting viewpoints are resolved. I highly recommend! And the narrator is pitch perfect with his accent. Bravo!! This is the first Philip Roth book I've ever read- and to no one's surprise , he's brilliant, gifted, what everyone says. 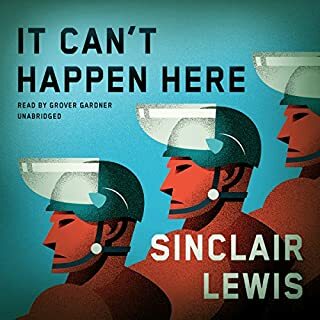 In the early era of Trump, this book is eerily familiar: a shock that he's elected, surrounded by white supremacists, influenced by fascists and killers from other governments. I hope we have a different ending. A country with bitter internal divisions faces a world dissolving into savage war, and a man with no political experience but a high national profile marches into the White House. His radical policies begin to transform the country in frightening ways. It was written ten years ago but reads like a thinly-disguised version of America in the summer of 2016. And the narration is pitch-perfect. "The Pompous SOB knows everything...."
Philip Roth's convincing tale of an alternate U.S. history has been made all the more plausible by recent events. I mean, look again at these quotes. In this 1940 America, the heroic Charles Lindbergh, known as an isolationist and admirer of Hitler in his early years, is elected U.S. President in a landslide over FDR by voters fearful of becoming involved in another European war. The U.S. does not get involved in WWII and the election unleashes a swelling tide of anti-Semitism resulting, ultimately, in assignments of Jewish citizens to certain areas designated by the U.S. government's new Office of American Absorption. 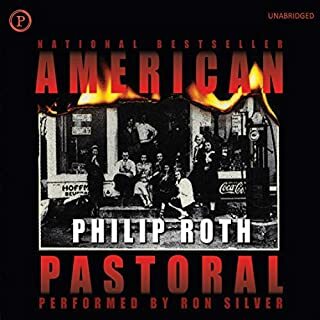 Roth impressively paints this tense fictional world in the Newark, New Jersey in which he himself was raised. He narrates through his early teen, fictional self providing an absorbing read made more captivating by recent Russian interference with the U.S. Presidential election and is even more timely and chilling on this inaugural eve. Reading this right after the election of Trump gave the book the power of apparent prescience. It's classic Roth, which means that the portrait of working class Jewish life in Newark is superbly portrayed. The premise of the novel--the election of Lindbergh to the presidency in 1940 makes for a gripping story. But I felt that the book promised more than it ultimately delivered. The last part of the story seemed rather rushed, and a bit unsatisfying. For all that, it's a fine novel. Given the sharp turn to the right in American politics, this book lends an insightful and chilling look at how populism, nefarious foreign regimes and public fear can take hold of a nation, its people and government. This story is in the same realm as Sinclair Lewis's It Can't Happen Here. The somewhat plausible story is told through the eyes of a young jewish boy, philip. convincingly read by Ron Silver. The ending felt somewhat disjointed, thus my 3 star rating. Overall though, I'm really glad to have listened to this book. 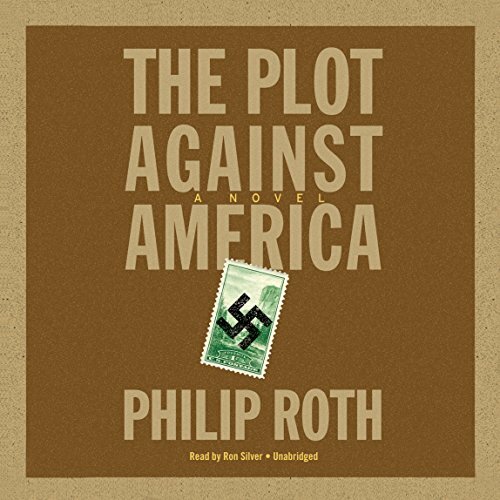 Would you consider the audio edition of The Plot Against America to be better than the print version? What was one of the most memorable moments of The Plot Against America? The gradual unwinding of the plot and the hideously possible nature of the crimes committed. What does Ron Silver bring to the story that you wouldn’t experience if you had only read the book? The reading brings in accent and flourish which I could only guess at as a Brit. I could not listen to this in one. I had to keep coming back and savouring the building horror. Just a fantastic bit of guesswork. Who does control Trump after all? 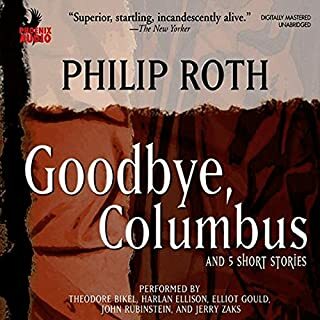 The idea of the story seemed interesting but it didn't turn out to be this way... Every chapter is an anticlimax but I ploughed on, as I didn't have anything else to listen to and I half expected an ending that will make me say "huh!" and in fairness last two chapters made it worth the struggle. But the story isn't half as bad as it's narration. The performance is appaling! Really struggled to stick with it because of the man who's reading it. I think, I'll try the book in its paper version at some stage, once the bad after taste of the audiobook is gone. I found the book just lumbered it's way to conclusion with very little happening until the final two chapters. When it did get interesting the story jumped around in terms of timeline. Great concept just poorly executed. I'm a huge fan of alternative history novels. I had no idea that this was an alternative history novel. TBH, I wasn't even sure it was a novel. I thought it might have been a documentary type non-fiction book (remember, I'm the book muse that prefers to go into a book blindly and avoid reading blurbs). Bottom line, I'm thrilled I finally picked this up to read. Sure, I've read countless WWII novels...even a couple of alternative history WWII novels. Two things that strike me...first, this is the first one that was told through the eyes of a child. This brings me to the second thing....as I read this, it was like watching a playbook from today's headlines with only a few details changed. These two things tied together...well they absolutely gutted me. I think we all read these history books and so often...well, the kids are there...we know they suffer. We know it's a catastrophe...however, I think we just look at the overall picture...or we just lump that suffering in with the overall suffering. This book really hit home for me about the individual suffering a child deals with in times like this. Yes, the alternative history for *this* young person could have been much worse, but the fact remains that sometimes the pressure the young feel at times when nothing can be done...and when things happen that are no fault of their own or any fault of the adults directly responsible for their lives...well...the impact is long lasting and devastating. Sure I can always fall back on the old perseverance that comes from times of difficulty, that bad times as well as good times help shape the future leaders and people that change the world be it through movement, laws, art, or anything else you can think of....but sometimes I wonder if those future achievements are ever worth the price of what some people have to go though. This book was hard to read in so many different ways...partly because I see so much of it going on today...partly because so many lives are ruined by people that have no business being in control...partly because it was so unfair in so many different ways....but mostly because I was shown all of this from the eyes of a child who was unable to do anything to change any of it...how many kids suffer in silence? Yep...this book gutted me in so many ways..
uncanny read in the current era - the parallels go deeper than I expected, perhaps a testimony to how acutely grounded it is in the reality of American society and how factions would respond in such a crisis. the ambiguities and mysteries around lindbergh were interesting and it was a deep insight into the psyche of American Jewish communities. Tough going at times as I found the narrator just that, reading a story without bringing it to life. Sad that as I finish this book more rioting and a death due to clashes in Charlottesville between the far right and people that accept our world is varied and should be celebrated. Unbelievable that in 2017, this story of fiction remains relevant. Worth a listen and persevering with in my view. An incredibly powerful fiction, with an excruciatingly genuine insight into the persecution of minorities. I'm particularly impressed with how realisticly the author portrays the perspective of a nice year old, without any condescension or unnecessary clichés.